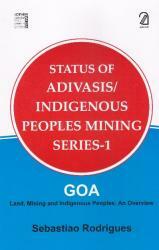 Protests against mining have intensified since 2007 in Goa. Police and administration have inevitably tended to side with the mining companies and people have been subjected to various repressive measures. Most of the industrial estates that came up all over Goa were on Adivasi lands. The liberation of 1961 was in reality liberation of the elites of Goa; those who have become elites by legally taking over Adivasi lands in their possession enjoy power and continue the exploitative situation. For Adivasis the struggle for liberation is just beginning.